Fall Sugar Maple (Acer saccharum). Credit: Http://www.forestwander.com via Wikimedia Commons. Most of us know of, and greatly appreciate, the wild and cultivated fruits, nuts and berries that come from trees. However, few are aware of the edible yields (and great value) that several of our trees have to offer. Aside from producing delicious snacks, such as apples, cherries, walnuts and chestnuts, some trees provide other edible parts: bark, leaves, twigs, seeds, pollen, roots, new growth, flowers and, of course, sap used for syrup. 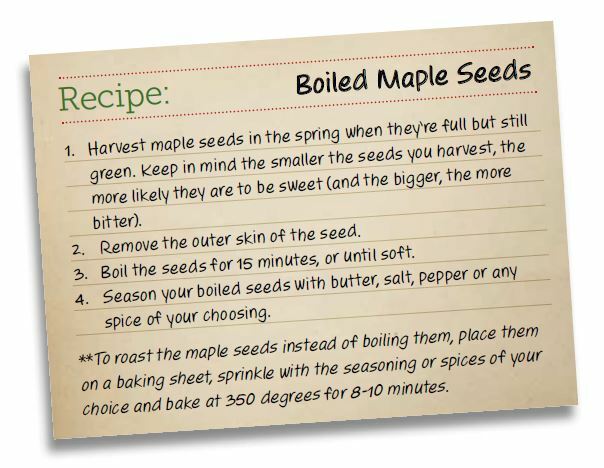 For example, did you know that the young leaves and even the seeds of many of our maple trees are edible? Maple trees provide more than the familiar delicious maple syrup! Also, did you know that the inner bark and young twigs of many of our birch trees are edible? Birch trees can also be tapped for a sweetish sap/syrup. Then, there are the immensely valuable pines, with their edible inner bark, seeds and so much more. 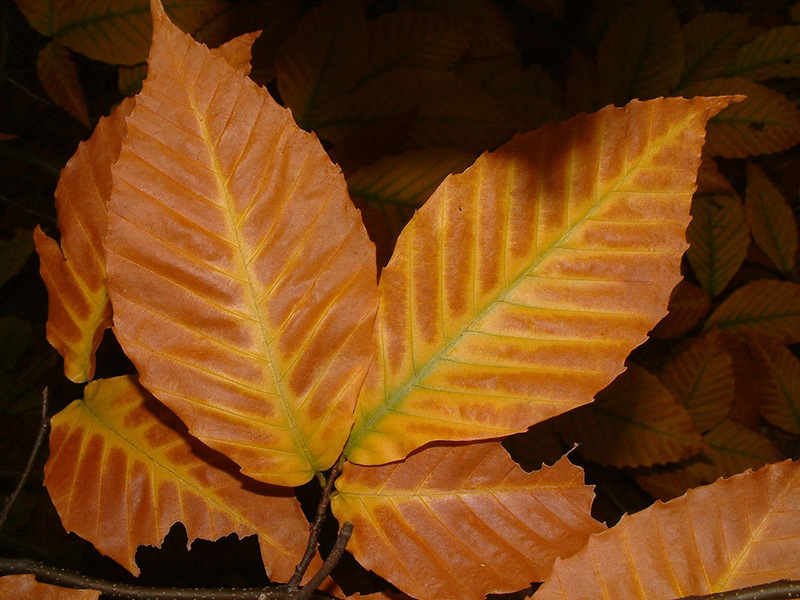 The American beech, F. grandifolia, is an exceptional, magnificent and majestic shade tree that definitely deserves to be grown more often in the landscape. A slow-growing native of eastern North America, the tree can grow to about 100 feet tall, often with a nearly equal spread. It has grayish bark and dark green foliage that turns golden bronze in autumn. The small, edible nuts are very tasty but not that well known. 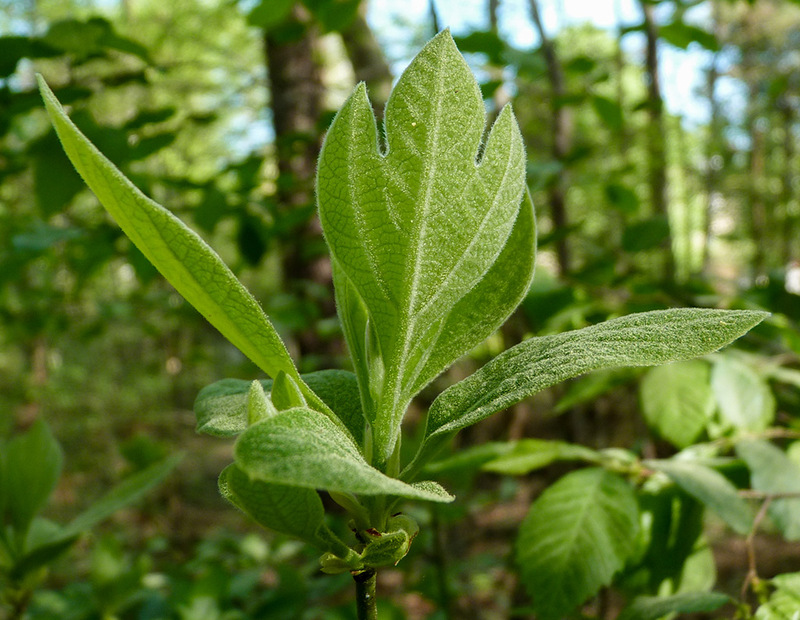 Young leaves can be cooked as a green in spring. The inner bark, after drying and pulverizing, can be made into bread flour, though this is probably best considered as a survival food. The birch species are well known, especially the strikingly beautiful white-barked varieties. The inner bark of birches is edible, making it an important survival food. Many have kept from starving by knowing this. Native peoples and pioneers dried and ground the inner bark into flour for bread. You can also cut the bark into strips and boil like noodles to add to soups and stews or simply eat it raw. In spring you can drink the tree’s sap directly from the tree, or boil it down into a slightly sweet syrup. The linden (or basswood) is often a well-shaped tall tree, with grey fissured bark. The young leaves in spring are pleasant to eat raw or lightly cooked. The flowers are often made into a soothing, tasty tea. The sugar maple, A. saccharum, is a beautifully formed tree. It provides us with some of the best and intense autumn foliage color, ranging from brilliant orange to yellow to bright reds. Sugar maples have distinctive, slightly notched, three-lobed leaves, whereas those of the black maple, A. nigrum, are more shallowly notched. The bark of the black maple is almost black in color. The five-lobed leaves of the silver maple, A. saccharinum, have narrow and deep indentations between the lobes. The undersides of its leaves are notably silvery-white in color. 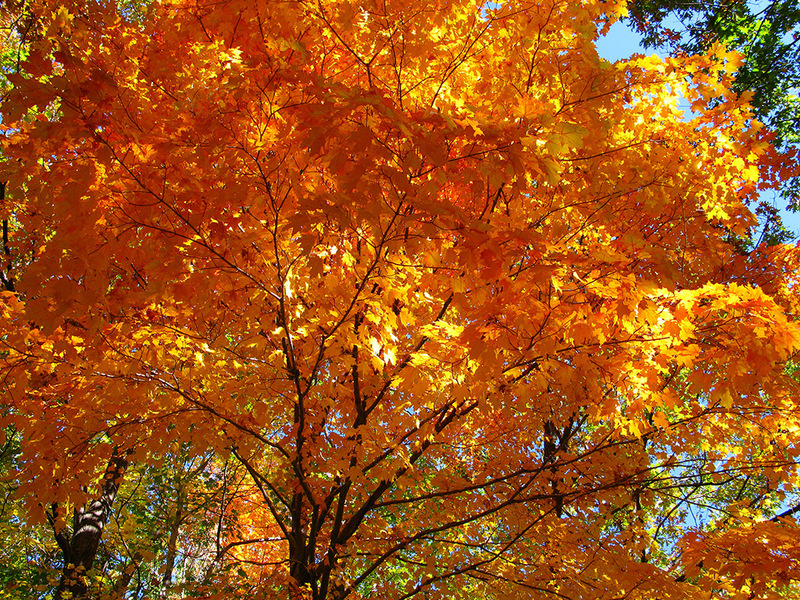 The sugar maple is famous for the deliciously sweet syrup you can make from its sap. But, few are aware that many other species of the larger maple trees can also be tapped for an edible sap. Among these include: the black maple, whose sap tastes almost identical to that of the sugar maple; and the silver maple, also providing an equally sweet-flavored sap. The syrup you can make from other maples varies considerably in flavor and quality, but feel free to experiment. Native peoples and pioneers drank the fresh sap from maples in spring, as a refreshing drink. The inner bark of maples can be eaten raw or cooked — another survival food source! Even the seeds and young leaves are edible. Native peoples hulled the larger seeds and then boiled them. The mulberry, M. alba and M. rubra, are mediumsized, fruit-bearing trees, with a short trunk and a rounded crown. The twigs, when tender in spring, are somewhat sweet, edible either raw or boiled. All Juglans species can be tapped for sweet-tasting syrup, particularly black walnut and butternut. The oaks are mentioned here, for it is not that well known that the acorns are edible. All acorns are good to eat, though some are less sweet than others. Some, like red oak, Q. rubra, are bitter tasting, while others like white oak, Q. alba, sometimes have sweet nuts. The bur oak, Q. macrocarpa, often bears chestnut-like flavored acorns. The Populus genus includes aspens and poplars. Their somewhat sweet, starchy inner bark is edible both raw and cooked. You can also cut this into strips and grind into flour as a carbohydrate source. Quaking aspen, P. tremuloides, catkins can also be eaten. The green buds and leaves of a sassafras (Sassafras albidum). Credit: Matt Jones via Flickr. Sassafras tea (mainly from the young roots) is well known, and its pleasantly fragrant aroma is unmistakeable. The young, green-barked, mucilaginous twigs of this small- to medium-sized tree, when chewed, are delicious to many. The green buds and young leaves are also delicious. Try them in salads! Soups and stews can be thickened and flavored with the dried leaves (but, remove the veins and hard portions first). This medium-sized tree is well known for its many herbal medicine uses. The thick and fragrant inner bark is extremely sticky, but provides nourishment, either raw or boiled. The inner bark of the willows can be scraped off and eaten raw, cooked in strips like spaghetti or dried and ground into flour. Young willow leaves are often too bitter, but can be eaten in an emergency — it is a survival food! The entire pine family comprises one of the most vitally important groups of wild edibles in the world, particularly for wildlife. The inner bark and sap is very high in vitamins C and A, plus many other nutrients. And, when eaten raw or cooked, its bark has saved many from starvation and scurvy. You can cut the inner bark into strips and cook like spaghetti, or dry and ground into flour for bread and thickening soups and stews. The sap in spring can be tapped and drunk as a tea. Even pine needles, when young and starchy, are rich in nutrients, like vitamin C, and are reasonably tasty. These are not usually eaten, but rather chewed upon for about five minutes, swallowing only the juices. Perhaps a better alternative is to make a tea with the needles. Pine or fir needles make a fine tea in winter. 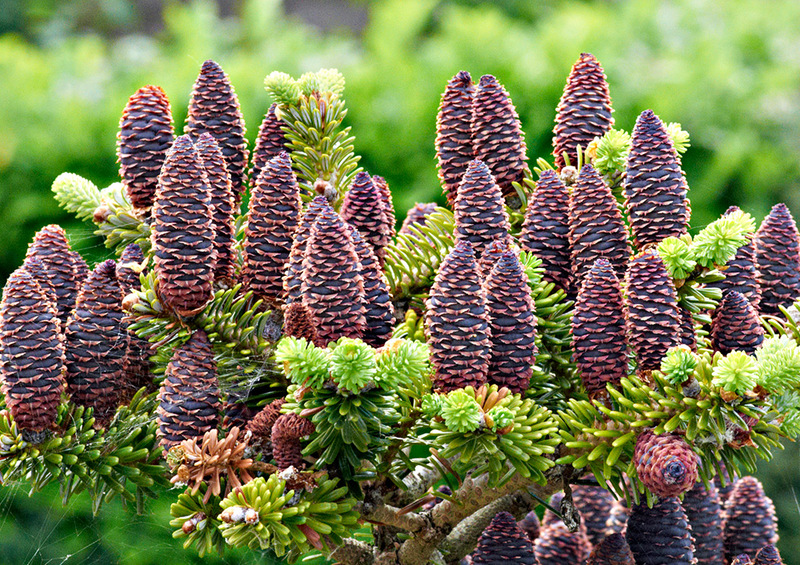 The cones of a Korean pine (P. koraiensis). Credit: Peter GW Jones via Flickr. Then, there are the edible cones, seeds and pollen of the Pinus genus. The woody cones that produce seeds within their framework are female. These are delicious when shelled and roasted. Nutritious pine nuts are often not considered for food because they are too tiny and hard to get at (a hammer or rock will be needed). However, there are a few pine species that provide delectable pine nuts (seeds) that can be as large as sunflower seeds or larger. Here is a small selection of these: the Korean Pine, P. koraiensis; Italian Stone Pine, P. pinea; and Pinyon Pine, P. edulis. The soft male cones and pollen are also edible, but the taste is very strong, so is better if used in cooking. In spring many of these male cones produce copious quantities of pollen, so much so, that you can practically scoop it up from the golden carpet it makes on the ground. The pine family includes genera such as: the pines, Pinus; spruces, Picea; larches, Larix; firs, Abies; and the hemlocks, Tsuga (not to be confused with the totally unrelated poison hemlock). Certain genera of another plant family, Cupressaceae, specifically two species of arborvitaes, Thuja, cedars, also have an edible and nutritious inner bark. These are: western red cedar, T. plicata (in particular); and eastern white cedar, T. occidentalis. Native peoples would harvest and dry it, then grind it into a powder for use when travelling or as an emergency. On the advice of native peoples, Jacques Cartier, a French explorer, used the eastern white cedar to treat scurvy among his crew. Properly selecting and tapping trees for syrup can be a detailed process. Credit: Alan Sheffield via Flickr. There are a relatively surprising number of trees that can be tapped for their sap and syrup. However, be forewarned; many of these offer a bland, bitter or almost tasteless flavor and quality. For example, you will find that tapping a hickory tree will result in unsatisfactory tasting syrup. Whereas, tapping certain other nut trees, like butternut and black walnut, will provide you with quite a fine-tasting syrup. Also, the native peoples tapped the sycamore tree, Platanus acerifolia, but this syrup is considered much too dark and strong flavored by most people. The maple by far yields syrups of the best quality and taste, and the best of these is from the sugar maple, or black maple, and followed closely by the silver maple. Properly selecting and tapping trees for sap can be a detailed process, so here we will address just the basics. You can purchase the necessary spiles and pails for sap gathering, or for better enjoyment do it on your own. First, in most instances, you will want to select trees that are at least 18 inches in diameter. A rough estimate of how much finished syrup you will get per tap is about one to two quarts, or about one gallon of syrup per year, per tree. 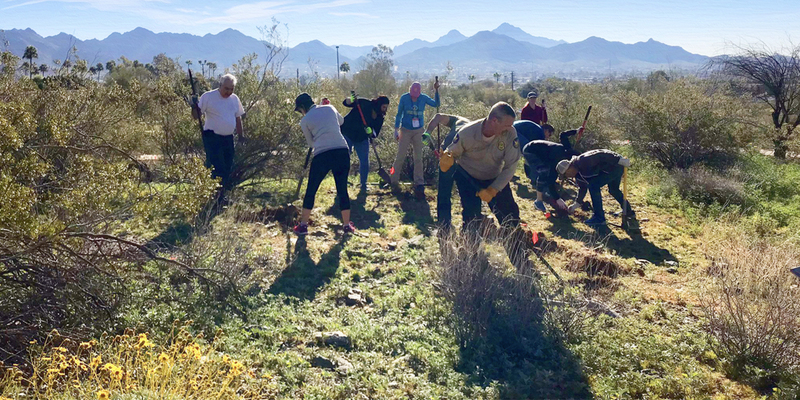 Cut a V-shaped gash into the tree (an age-old method of our native peoples), at the base of which you can drill a hole about 2 inches deep and close with a peg. Then, when you are ready, remove the peg and insert your spile. 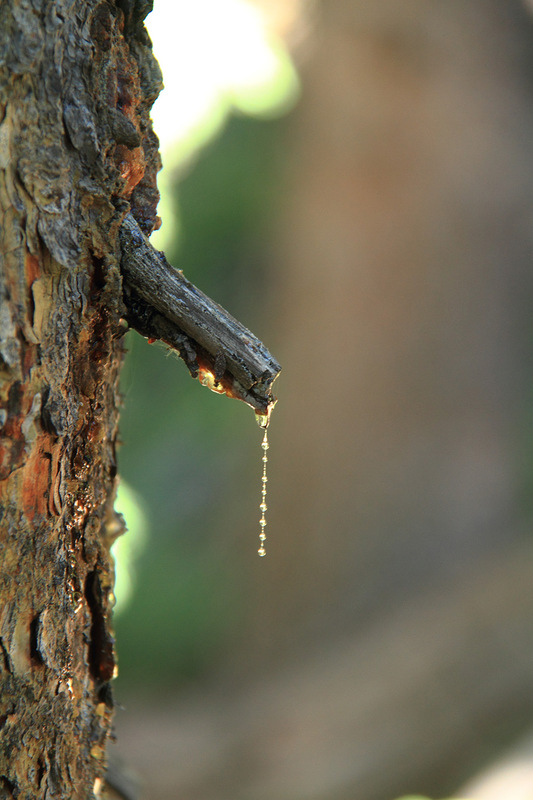 A spile is the means to convey the sap from the tree trunk to your bucket or pail. This is essentially a hollow tube with a spout end. It can be made from a wide range of materials from metal to bamboo. One of the best is made from a sturdy, hollowed out twig or branch of a staghorn sumac, Rhus typhina. Or, you can use the lid from a tin can for a sort of spile. Just smooth the rough edges first. Make a single bend in the lid and insert it into your tree tap hole. Drive a small nail into the tree to suspend your bucket or pail from. Then, it’s just a matter of boiling the sap with water, and spooning off the characteristic scum as it rises. The best ratio is around 35 parts of water to one part sap. The water evaporates over time, leaving a clear amber syrup. Strain carefully. For sugar, continue boiling until a test portion of the syrup forms a very soft ball in cold water. Remove from the heat, agitate with an egg beater and pour into dry molds. Delectable! Jesse is an author and instructor in environment, ecology, sustainability, horticulture and natural history. Check out his first book, “Quiver Trees, Phantom Orchids and Rock Splitters: Remarkable Survival Strategies of Plants” at www.ecwpress.com/products/quiver-trees. 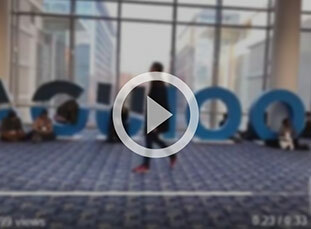 Watch our video on cutting edge forest science, featured at the AGU Fall Meeting!